Why Is Bathroom Remodeling So Expensive? So you've finally had it with your outdated bathroom. You're ready to say farewell to your rust-stained tub, your water-damaged vanity, and your avocado-colored toilet. You want a bright and beautiful new space with ample storage, a pleasing color palette, and a spa-like feel. But how much will it cost? If the bathroom remodel cost figures you've been quoted have shocked you, you're not alone. Remodeling can be shockingly expensive, and price ranges for a bathroom remodel can be especially so. As the client services manager here at CRD, I'm often the one who has to "rip off the Band-aid" and be the first to tell people what their dream bathroom will really cost. 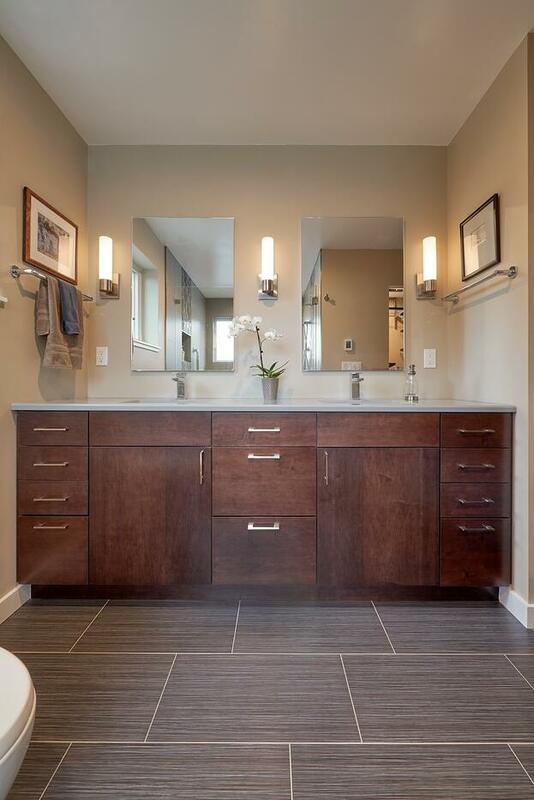 If you want to skip ahead and learn what actual Seattle bathroom remodeling prices are, you can check out our Bathroom Remodel Pricing Guide. Otherwise, keep reading to find out why one of the smallest rooms in your house can be so expensive to renovate. Let's take a look from a contractor's perspective. The typical bathroom in a Seattle home is 5' x 8'. With only 40 square feet to work with, your cost of materials will be relatively low. However, the skilled labor required to install it will be a large percentage of your total project cost. Each of the above trades people incurs a minimum cost just to bid your project, travel to your home, set up their equipment, do the work, and perhaps return one or more times to complete the job. To effectively schedule and coordinate the work of all those subcontractors takes time and focus. Some contractors juggle multiple small projects, making incremental progress on one and then hopping to the next. This can lead to even the most basic bathroom remodel dragging out for an unacceptable length of time. A better approach is to hire a remodeling company that will assign a lead carpenter or project manager who is working only on your project. When you have a builder's undivided attention, your project will almost surely be completed faster and with fewer setbacks and unwelcome surprises. Another consideration is keeping the parts of the house that are not under renovation free of dust. With drywall being removed, cabinets being installed, mortar and grout for tile being mixed, wall studs being drilled out for new electrical wiring, even the smallest bathroom remodeling project can produce a lot of dust. Responsible remodelers will put up plastic wall systems and lay down floor protection. This extra effort may add slightly to the cost, but your goal, after all, is to beautify your home, not make a mess of it. There are lots of ways to save money on your bathroom remodel, like choosing your finishes carefully and keeping your existing layout. There are corners you don't want to cut, like hiring an unlicensed contractor or handyman. The most recommended way to save is to combine projects to achieve overall cost-per-square-foot savings. If you have two bathrooms that could be remodeled, it will cost far less to do both at once than to space them out. Likewise, if you are also contemplating a kitchen remodel, an addition, or some other renovation, it makes sense to explore the option of batching your projects together to save.